This EP's lead track comes in form of a deep Dub Techno aesthetic at an adequate 128 bpm while not neglecting warm and melodic elements. 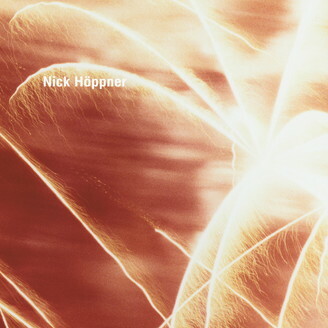 “Box Drop” stands in the tradition of Höppner's interest in musical detail rather than blatant functionality: aside from his recognizable kick drums and basslines Nick lays out plenty of harmonic layers and effects such as string arrangements, leading synth pads, now trickling then rotating sound patterns, making this cut as elegiac and frisky as it’s muscular and straightforward. “Still” on B1 begins with a more mellow vibe but with the same interest in musical subtleness and melody. And while the track's start is more layed back, it's “still” a club track, slowly swelling and progressing until its break at 2 minutes in and onwards – slightly romantic yet very groove-focussed, a glorious piece of upbeat House music. “Out Of Sight” on B2 sees Höppner working with female vocal samples whispering from the background while its sturdy bassline, synth bleeps and modulations, shakers and other percussion add to the overall warm and cosmic vibe. By aiming for a strong musical coherence and dancefloor functionality Nick offers three facets of a familiar mood with the Box Drop EP – ahead of his stylistically and atmospherically more diverse studio album, due out in June on Ostgut Ton.